Breeze Art Solar Silk Polyester 28"x40" decorative flag. Finished with pole sleeve at the top of the flag with sewn in tabs. Evergreen's Silk Reflections artistic blend 29"x43" decorative flag. Finished with pole sleeve at the top of the flag with sewn in tabs. Pole not included. 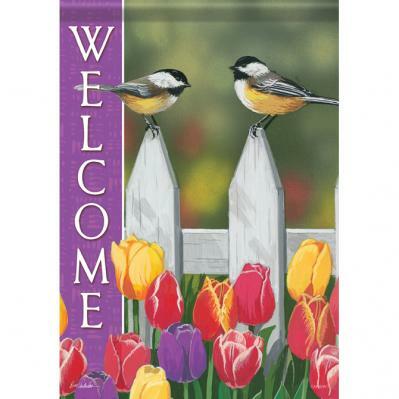 By Premier, this 28" X 40" decorative flag is printed on durable polyester. Finished with pole sleeve at the top with sewn in tabs.